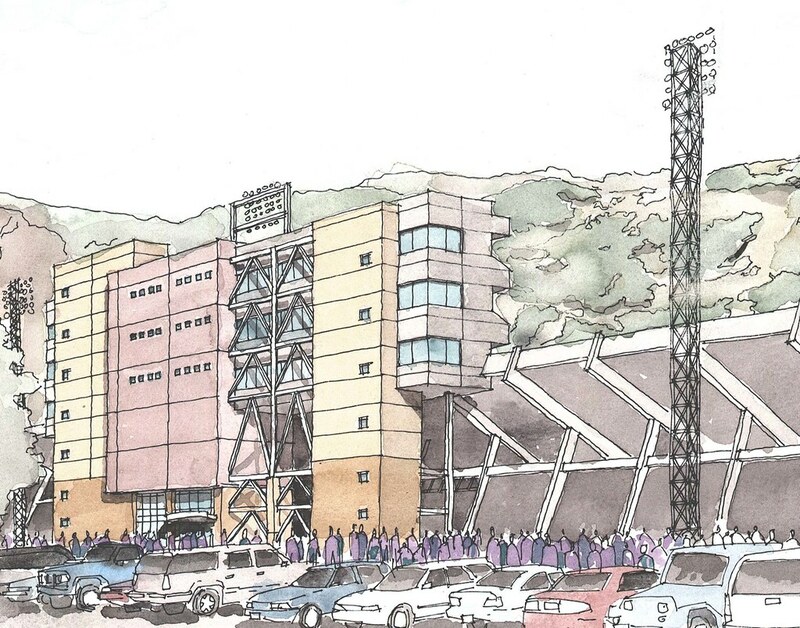 The Weber State Skybox Addition project was developed to assist the University in bringing the football program to a new height. 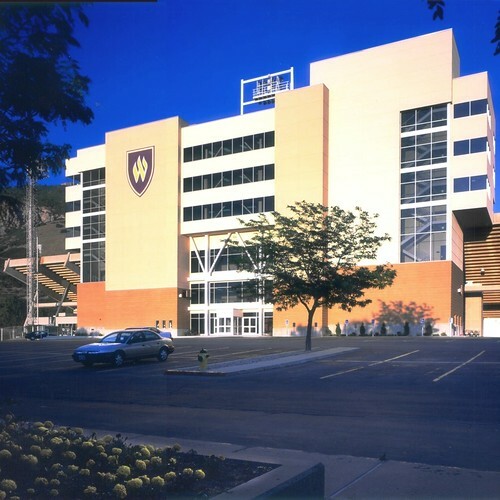 The addition was completed in under twelve months including design and construction using a design/build team method. 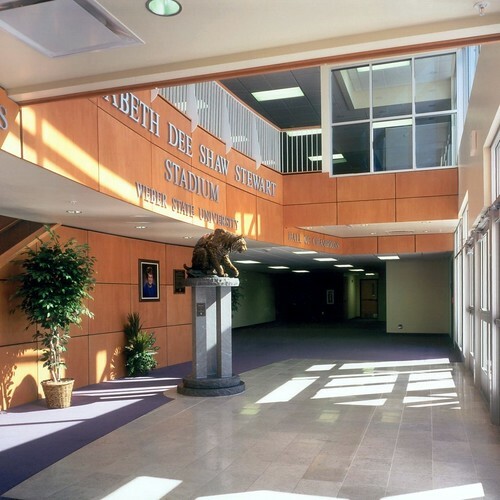 EMA worked in close connection with R&O Construction to develop a scheme that met the tight budget constraints of the State and the programmatic goals of the University Athletic Department. architectural services profile NCAA Division 1 Football Stadium Spaces included in the facility include reception spaces on multiple levels, future office and student development space to coincide with the existing athletic offices within the existing stadium, twenty six private suites in a variety of sizes and configurations, a press level including television and radio broadcast spaces, concessions on three levels and a champions gallery as one enters the building.